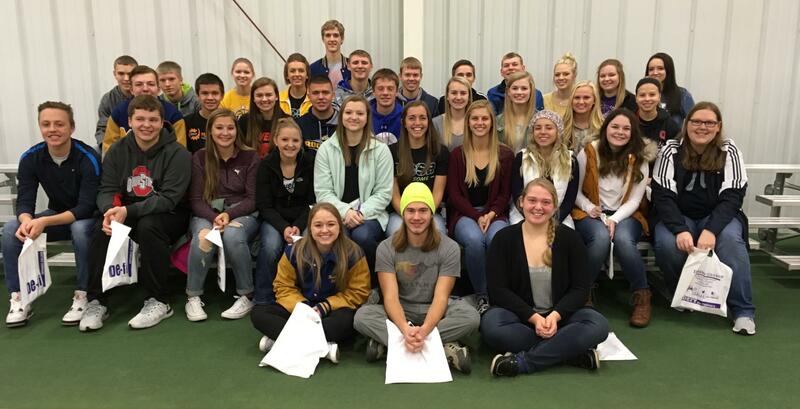 Thirty four business and personal finance students recently attended a Finances 101 course put on by Defiance College. Mrs. Hoffman arranged the trip to expose students to real life financial situations. Initially the students were given a job and a salary. They then traveled around a life size board game taking into account the day to day costs of living. Some of life’s choices lie in the draw of the cards, the roll of the dice or the spin of a wheel. Students learned about earning a salary, paying bills and taxes, costs of running a household, and how earnings impact buying decisions. There is uncertainty around every corner, along with opportunities to make sound financial decisions too.